The Center’s cochlear implant doctors, specialists and surgeons have a strong reputation for managing hearing disorders in both adults and children. 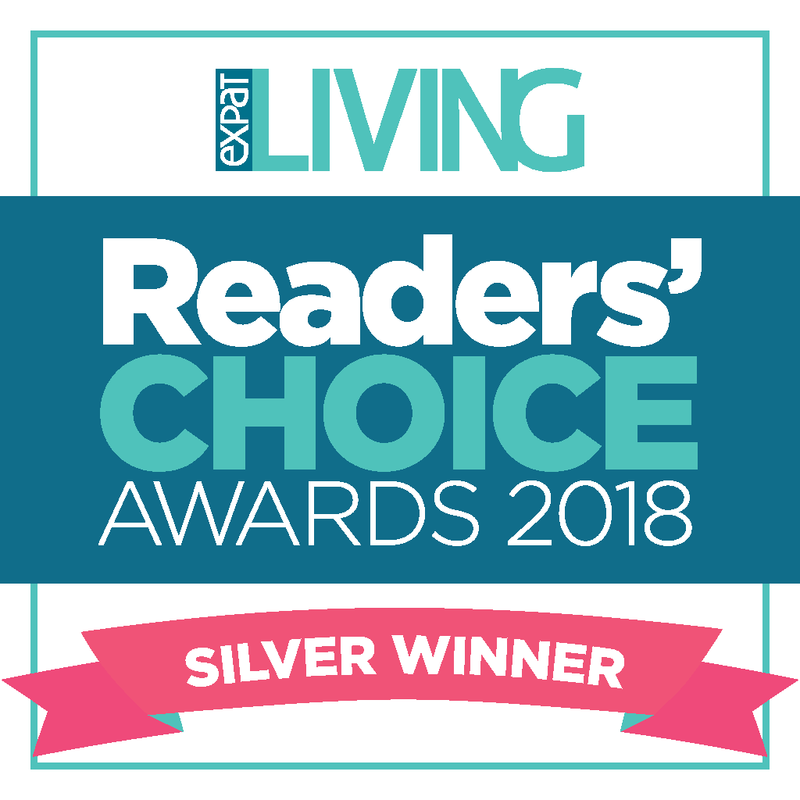 It fits hearing aids and hearing implants carefully and whenever appropriate, after exclusion of treatable conditions and failed non-surgical treatments. It offers a complete spectrum of management in Singapore, from repair of perforation, reconstruction of ear bones, to microtia/ atresia/ middle ear reconstruction surgery, cochlear implants, middle ear implants, and bone anchored hearing aids & implants. The Centre believes in the power of integration, clinical innovation with research and education, and in working closely with the industry, families, professionals, teachers, voluntary welfare, hearing support groups and associations to facilitate better hearing health for all. 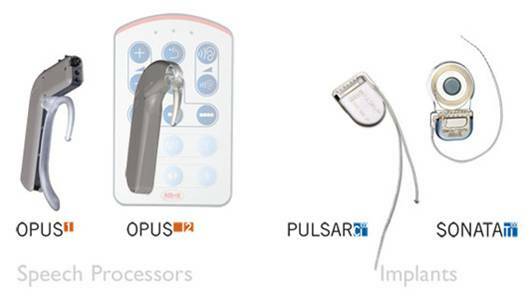 This section offers an overview of hearing implants to help clarify the same for patients. The CI is arguably one of the greatest advances in modern medicine, a neural prosthesis that can substitute for the ear sensory organ. For the totally deaf child or adult, it is a chance to hear and speak again. 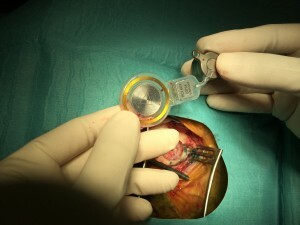 There have been notable achievements in implantable electrodes in the cochlear, safe surgeries and sound processing strategies. Indications for CI have expanded to bilateral CI, CI in infants and the elderly, CI for unilateral hearing loss and CI for residual hearing. Currently, there is intensive research into oto-protective drugs, electrode designs and placements, stem cell regeneration, gene therapy, atraumatic electrode insertions, optical stimulation of the hearing nerve and even fully implantable CI. Each offers promise, but requires further research. 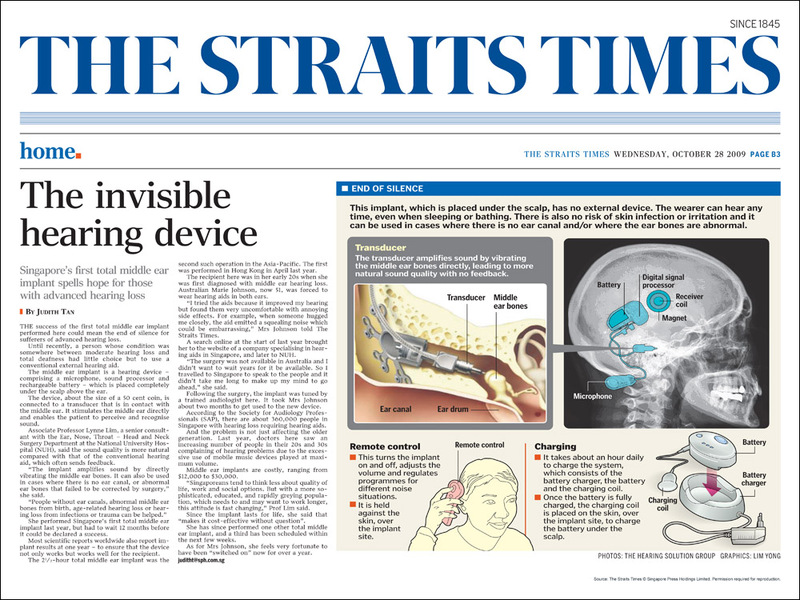 Our Centre in Singapore currently implants Advanced Bionics, Cochlear and MedEl brands of CI, for patients from 6 months to 80 years of age. It believes in binaural/ bimodal hearing and bilateral CI simultaneously and sequentially where needed. Besides a careful and safe surgery, post-operative readily available support by the companies/ clinics for the patients and families is critical. There must be commitment by families to speech/ auditory verbal/ total communication rehabilitation and fine-tuning and mapping for the CI.Speech and AVT rehabilitation can be customized for local and foreign patients, with also home-based sessions or close liaison with therapists from overseas. There has been impressive performance for many patients born with total hearing loss bilaterally – if implanted early, with most attending standard schools. For children with other neurological and cognitive deficits, the outcomes are more variable, but improvement in hearing is always helpful in the holistic rehabilitation and care of these patients. For adults who already have speech and language, the duration without hearing aids/ implants, cognitive, central auditory processing abilities and other systemic disorders are factors that impact on their performance with CI. For adults who have not developed speech at all, hearing improvement helps increase safety and interaction with their loved ones; even if their speech may not match those who opt for implants much earlier on in life. The individual’s as well as the wishes of the Deaf Community are always respected. Correct pre-surgery indications, patient/ family expectations and detailed pre-surgery discussion are important. Why bother with surgery for middle ear implants when current hearing aids have the ability to amplify sounds even for those with severe hearing loss? 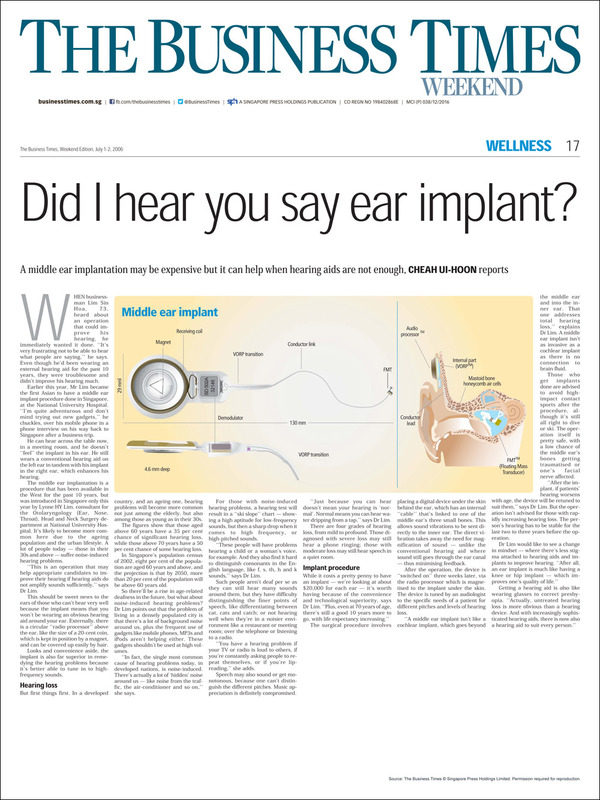 That was an important question for me before I started with middle ear implants in 2006, at a time when it was in its infancy still worldwide and the first of its kind in Asia. Research then was showing however, an important point – patient feedback was that it had the ability to offer higher quality, naturalness and fidelity of sound compared to hearing aids, as it sort to transmit sound through ossicular chain and cochlear fluid vibrations. Hearing aids amplify sounds like a loudspeaker, and sounds are thus less natural, even with directional processing and open fittings. 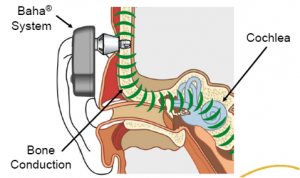 Higher gain may also be delivered to the ear without feedback or occlusion of the ear canal. There are many types of middle ear implants available, eg VSB, Carina, Maxum, Esteem amongst others. In some cases where the ear canal is absent (atresia) or cannot be fitted with current hearing aids due to stenosis, skin or discharge problems; or when the middle ear bones are extensively damaged failing ossicle prosthesis reconstruction – the middle ear implants like the Vibrant Soundbridge (VSB) are good alternative options. For example, the VSB can be placed onto the incus, the stapes or round window directly. It can thus overcome conductive, mixed and sensorineural hearing loss. 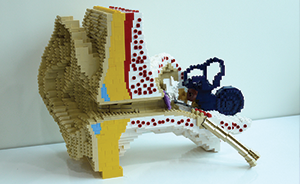 However, realistic patient expectations is key to satisfactory patient perception, as cochlear hearing loss continues to have cochlear distortion, reduced dynamic range and impaired temporal processing. The BAHS/ BAHA has been used for conductive, mixed and single-sided sensorineural hearing loss for more than 30 years. The titanium implant is osseo-integrated into the skull bone, and an external sound processor transmits sound through direct bone conduction via an external abutment to the cochlear. 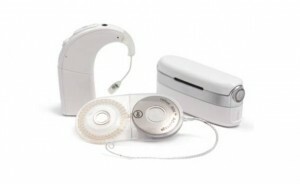 Brands available include the Cochlear BAHA and Oticon Medical Ponto. 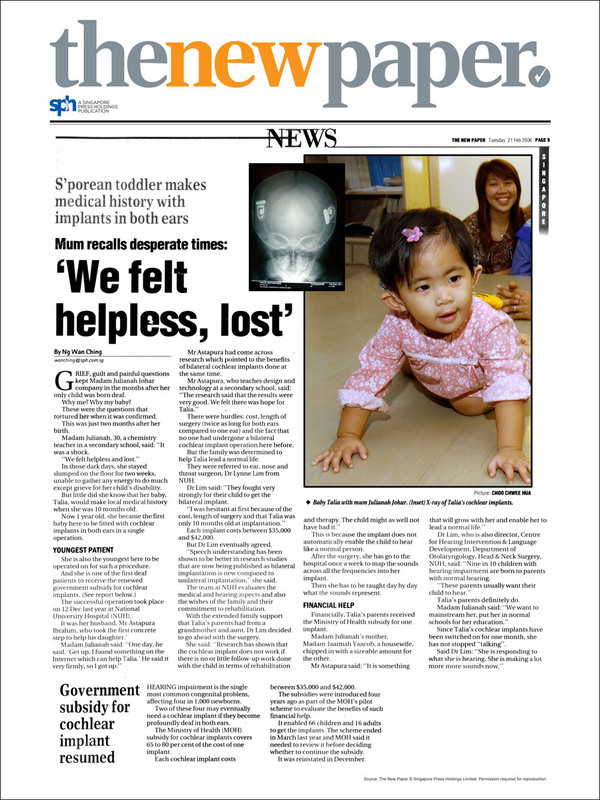 For young children under 4-5 years of age, a soft band is usually used to hold the BAHS/ BAHA device whilst awaiting skull growth to accommodate surgical implantation. Softband BAHA can be fitted even for those under 1 year old. Typically, patients have chronically draining ears, external otitis, atresia ear canal with normal cochlear hearing. Patients with single sided deafness (SSD) usually lose hearing from birth, sudden sensorineural hearing loss, post acoustic nerve tumor affliction or surgery. Even in SSD, speech discrimination in group conversations and noisy environments are improved when both ears can hear. Localisation of sound is better with 2 ears. Realistic patient expectations are important. Non-surgical options of using a bone conduction hearing aid or CROS hearing aid is sometimes not as well tolerated due to significant pressure on the scalp, less cosmesis and the need for 2 hearing aids (CROS). Concerns about BAHS/ BAHA include skin infections and overgrowth around the titanium abutment. In response to this, there are now systems that do not penetrate the skin, like the MEDEL BONEBRIDGE Conduction Implant. The Bonebridge offers the first active conduction implant system with intact skin. It allows direct stimulation of the skull bone instead of vibration through an implanted titanium screw, without osseo-integration lag time. The internal implant is larger than the BAHA however, and thus more challenging for very young children.The Cochlear Attract BAHA is also a newer offering that does not penetrate the skin.